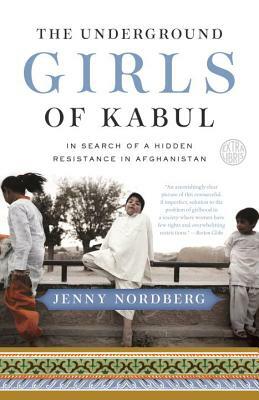 One Afghan woman asked author Jenny Nordberg this very question while Nordberg was writing The Underground Girls of Kabul, an anthropological, historical and heart-wrenching book that catches a glimpse of what it is like to be a woman in Afghanistan. In The Underground Girls of Kabul, Nordberg seeks to shed light on the practice of bacha posh – a seemingly unconventional, though widespread tradition of dressing young girls as boys. Various families in Afghanistan partake in bacha posh for any variety of reasons, one of the most common being the mystical view that dressing a daughter as a son will ensure that the family’s next child will in fact be a real boy. In Afghanistan, having a son is a mother’s most important job, while having girls can diminish a woman’s worth in regards to her husband, her family, and her culture. Therefore, some other families practice bacha posh in order to gain social and societal acceptance from their neighbors, co-workers, and family if they do not have a son. It is more acceptable to have a fake son then to have no son at all, even if it is common knowledge that the son is in fact a girl. However, more progressive parents urge, encourage, and provide the opportunity for their daughters to live as boys so that their daughters can see the other side of life in Afghanistan. Though the women Nordberg interviews and spotlights in The Underground Girls of Kabul often comment on the improvement of life since the fall of the Taliban, rights for women are still a large issue in Afghanistan. Through misappropriation of religious texts, mainly for the purpose of reverting to radical Islamic views after foreign occupation, women have been further and further subverted in the ordering of the social, economic, and humanistic ladders of Afghanistan. In many families, women are still thought of as being owned by their fathers and are essentially sold to their husbands once they hit puberty. Though women are allowed to be educated and run for parliamentary roles, many are not given the resources to do so, and in the corrupt politics of the society, their education and career is often diverted by lack of encouragement and outright violence. The practice of bacha posh helps young girls to reach beyond these limitations and share in the experiences that men in Afghanistan are encouraged to have. Though the tradition subverts the patriarchal order in some senses, there is the overwhelming and overt reality that bacha posh also supports the Afghan patriarchy. As Nordberg points out in The Underground Girls of Kabul, ideas of female subversion need to shift before any greater cultural, political, or social change will take place. However, this is difficult given both the seclusion of women and the negative and restricting beliefs that are perpetuated about, and even among, them. Though bacha posh may not be a perfect answer to the greater issues at hand, Nordberg recognizes that it might be the only answer for the greater majority of women right now. Things are in fact changing, and there is the hope that in the near future such gender discrimination will diminish enough to blot out the practice of bacha posh entirely. As it stands right now though, bacha posh helps to answer for many girls in Afghanistan the question of what it is like to be a boy and what it is like to experience freedom. The Underground Girls of Kabul was released by Broadway Books and is available at your local bookstore.